A year ago, Pluto was just a bright speck in the cameras of NASA’s approaching New Horizons spacecraft, not much different than its appearances in telescopes since Clyde Tombaugh discovered the then-ninth planet in 1930. But this week, in the journal Science, New Horizons scientists have authored the first comprehensive set of papers describing results from last summer’s Pluto system flyby. “These five detailed papers completely transform our view of Pluto – revealing the former ‘astronomer’s planet’ to be a real world with diverse and active geology, exotic surface chemistry, a complex atmosphere, puzzling interaction with the sun and an intriguing system of small moons,” said Alan Stern, New Horizons principal investigator from the Southwest Research Institute (SwRI), Boulder, Colorado. “Observing Pluto and Charon up close has caused us to completely reassess thinking on what sort of geological activity can be sustained on isolated planetary bodies in this distant region of the solar system, worlds that formerly had been thought to be relics little changed since the Kuiper Belt’s formation,” said Jeff Moore, lead author of the geology paper from NASA’s Ames Research Center, Moffett Field, California. 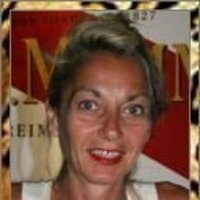 Update SUNDAY 13 March two thousand sixteen AM AOL pétrolette pétrole OIL AOL petroleum Oil ,huile de pétrole, Aièllo Marìa Luisa Antoniètta Ólimpia, as Grand Mother Gumina Aièllo Luisa She to form the word and names than surnames Giulia Gina Louis Gullit Giuli in extension time and hereditary names than together to representing the conjunctions the Laguna Lunga S Gianni where together the composite name with her son so my father Francèsco expresses as Gian Franco,with me the name Gian Maria and for variety suggestion LUNA Galileo Galilea Gallia also so I and my Grand Mother can sustain the nomenclature NASA as nasa NASA’s organization was well underway by the early years of President John F. Kennedy’s administration, when Kennedy proposed that the United States put a man on the Moon by the end of the 1960s. NASA’s Galileo spacecraft making a flyby of Jupiter’s moon Io, in an artist’s rendering. To find the origin of Lucifer, we turn to the Old Testament. In the Hebrew, the name Lucifer is translated from the Hebrew word “helel,” which means brightness. This designation, referring to Lucifer, is the rendering of the “morning star” or “star of the morning” or “bright star” which is presented in Isaiah. “How you are fallen from heaven, O Day Star, son of Dawn! How you are cut down to the ground, you who laid the nations low! You said in your heart, ‘I will ascend to heaven; I will raise my throne above the stars of God; I will sit on the mount of assembly on the heights of Zaphon; I will ascend to the tops of the clouds, I will make myself like the Most High’” (Isaiah 14:12-14). northernmost region of ancient Palestine, corresponding to modern northern Israel. Its biblical boundaries are indistinct; conflicting readings leave clear only that it was part of the territory of the northern tribe of Naphtali.